We live in a time when it can feel quite scary to be a woman. Abortion is on the line, under siege from several battalions: The Trump administration and the conservative right, and their attack on “late-term abortions,” which aren’t technically a thing; the Supreme Court, with special thanks to Brett Kavanaugh’s confirmation; Title X.
Women’s rights have historically been in the hands of white men, which is a serious problem in and of itself. This is slowly starting to change: Women comprise almost 25 percent of our current Congress, which is progress. But only three of the nine members of the Supreme Court are women. And they might not be able to save Roe v. Wade. It’s not time to curl up in a hole quite yet, though. For every disappointing news story, there are still those who are protecting our right to choose: in Congress, in the Supreme Court, and out on the streets. As they say, “nevertheless, she persisted.” And we have. Ahead, four major issues women’s rights activists are facing now—and what to expect next. When Trump was elected, one of the heaviest questions weighing on many of our minds was about abortion. Though we’ve somehow managed to make it this far with abortion largely unscathed, the Trump administration is doubling down, and the days of Roe v. Wade as we know it may be numbered. Kavanaugh’s confirmation to the Supreme Court was a major blow to the state of abortion in the United States. Before Supreme Court Justice Anthony Kennedy’s departure last year, the justices were divided on abortion rights, but Roe v. Wade has remained in action since 1973, thanks to the court having a majority in agreement with upholding the landmark case. Last month, the Supreme Court voted to block a restrictive abortion law in Louisiana, but don’t raise your pom-poms just yet: There are at least 20 lawsuits that could potentially be heard by the Supreme Court that might significantly change the ruling of Roe v. Wade, as well as the 1992 case of Planned Parenthood v. Casey, which said a state can only restrict abortion if the limitations don’t create an “undue burden” on a woman’s right to choose. Most of these cases involve challenges to state laws restricting access to abortion. Many describe this time as the most complicated for abortion rights since the early 1990s, when the Supreme Court had a conservative majority and all hell was breaking loose at abortion clinics. If Roe v. Wade made it through all of that, perhaps it can make it through this. Let’s hope. 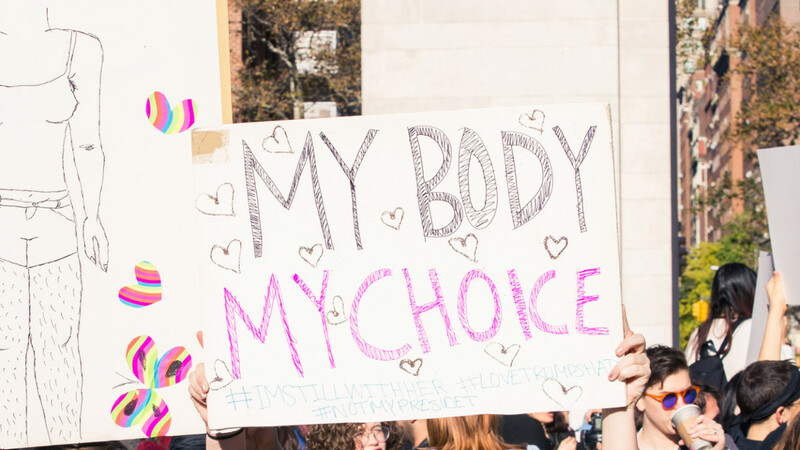 Late last month, the Trump administration announced that clinics that are allocated money from Title X, a federal family-planning grant program, will no longer be allowed to perform abortions in the same area where they see other patients. 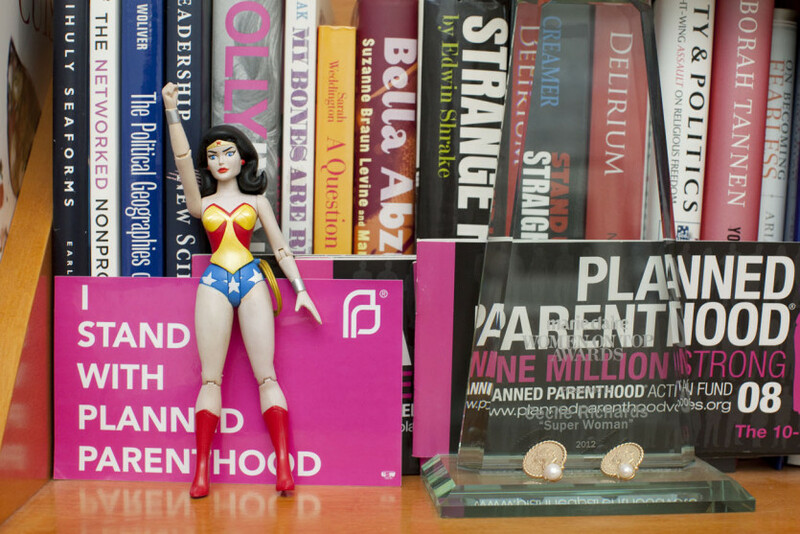 If the new rule goes into effect, this would be the closest Trump et al have gotten to defunding Planned Parenthood, the most visible of health care providers that offers abortions, as well as other abortion clinics, as the Atlantic reports. Title X participants will no longer be able to refer patients to abortion clinics; they can mention the word “abortion” to their patients, but they cannot assist patients in obtaining one. Since abortion clinics will have to be physically and financially separate from health care facilities that receive Title X, this will require about 20 percent of Title X providers to conduct costly renovations to their spaces to adhere to the new rule. The American Medical Association and Planned Parenthood filed a federal lawsuit earlier this month to challenge the rule; the AMA said the new guidelines would cause “a national public health crisis in short order” if they are implemented. Planned Parenthood said it will stop receiving funds from Title X if the rule goes through, giving up what is estimated to be as much as $60 million in funding each year. In the latest edition of the conservative right’s attempt to enact a bill that has no bearing in reality—complete, of course, with over-the-top rhetoric in the title—is the “Born-Alive Abortion Survivors Protection Act,” which was (narrowly) shot down when put up for vote in the Senate last month. But the legislation, as well as the debate it has ignited, represents a new tactic from the conservative right in abortion rights issues: framing the debate around late-pregnancy abortions. Had the bill passed, doctors would have been required to provide care to infants who “survive an abortion or attempted abortion.” Democrats have pointed out that doctors are already required by federal law to do just that; this bill would have added certain fines and potential jail time if they didn’t comply. As defined by the conservative right, the debate about “late-term” abortion, or abortions in or after the 21st week of pregnancy, isn’t going anywhere anytime soon, though they are extremely rare and occur only in cases when the mother’s health is in serious danger or the fetus has been found to have a fatal condition. Only 1.3 percent of abortions in the U.S. in 2015 happened in or after the 21st week of pregnancy, and less than 1 percent happened after 24 weeks (which marks the start of the third trimester). You know what’s not even remotely close to being cool? Tampons (and other menstrual products) are taxed in 35 states. States that have chosen to forgo sales tax on tampons and related women’s health items granted them a medical supply tax exemption, just like, in New York, for example, condoms, lip balm, antacids, and eye drops. Other than the obvious issue that products specifically for men—Viagra, hair growth products—are not taxed in many states, a tax on menstrual products is especially problematic because it hits low-income women the hardest. In 2016, California Democratic Assemblywoman Cristina Garcia said she has heard from girls who have missed school because they couldn’t afford to buy tampons or pads, including one girl who had to use socks instead, as NPR reports. Essentially, the inequity all boils down to money. In California, tampons et al are still taxed. Last year, a study on New Jersey’s 2005 tax break on menstrual products concluded that “repealing tampon taxes removes an unequal tax burden and could make menstrual hygiene products more accessible for low-income consumers.” And we should all be giving a standing ovation to that.